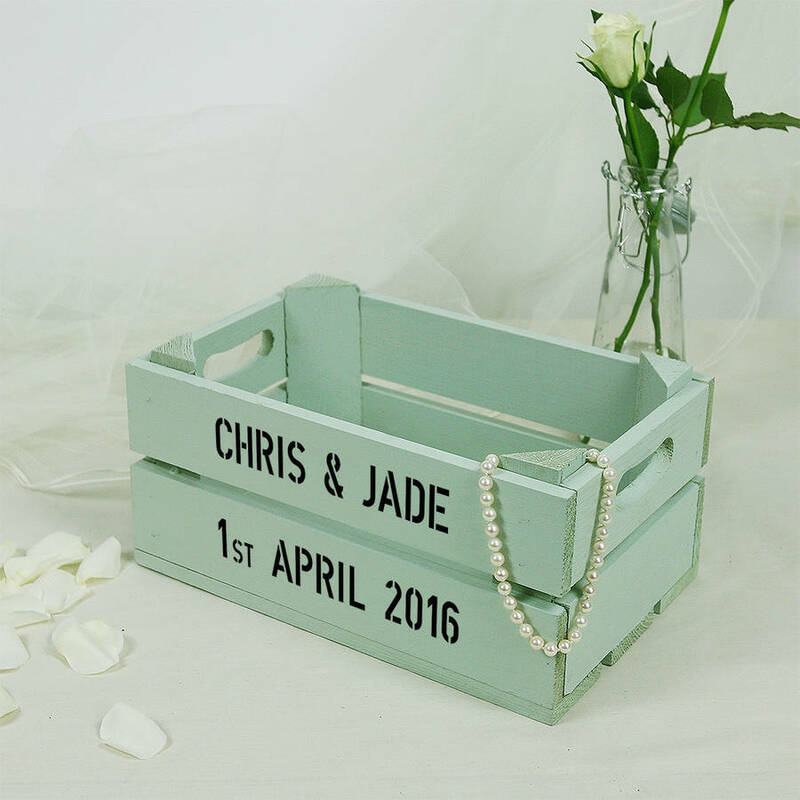 This small gift crate makes a lovely personalised wedding gift, or a great prop for wedding styling. This makes a perfect wedding or anniversary gift and it is unlikely that the bride and groom will receive two of these! 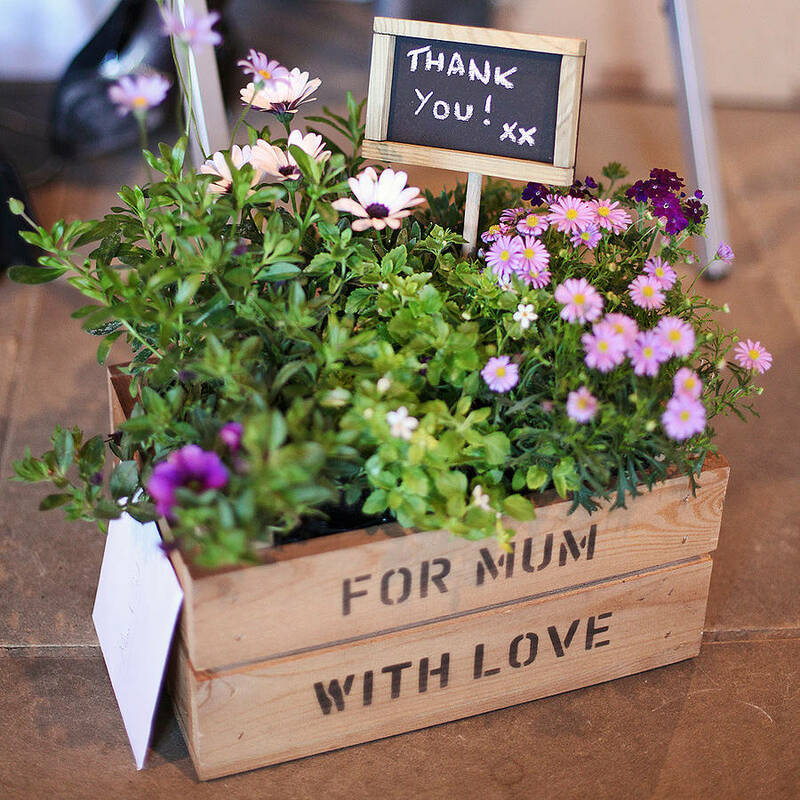 Great for a hamper or to contain other gifts too. 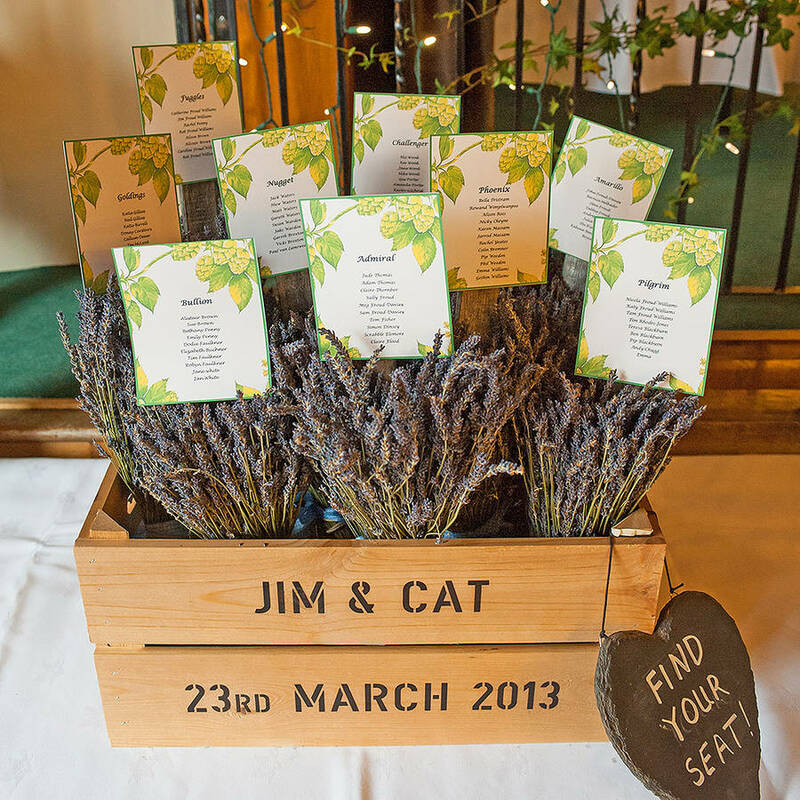 Also, perfect for use on the day as a table centre, place name holder or as a confetti holder. 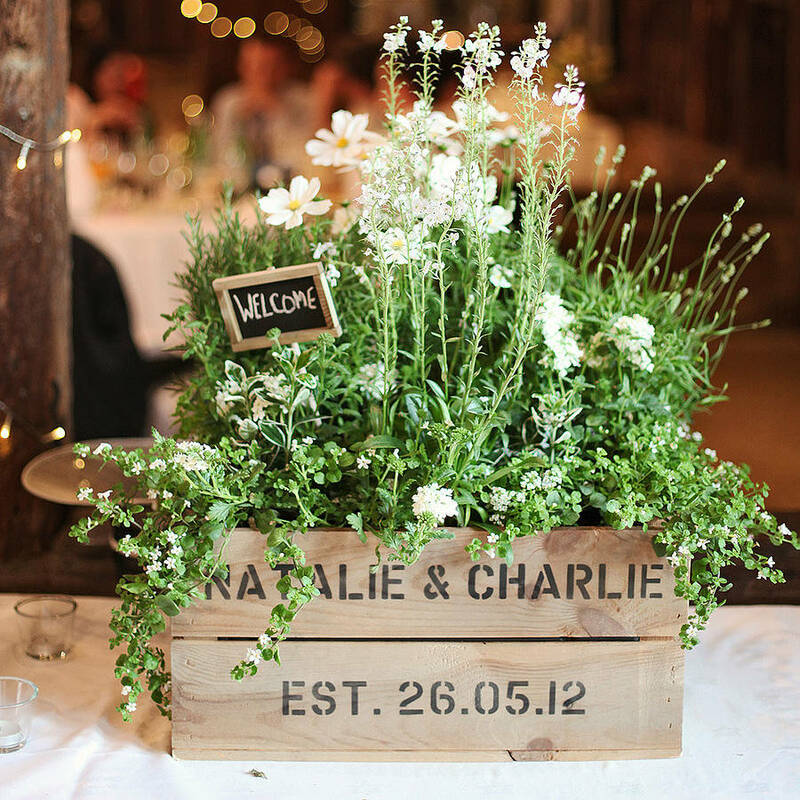 The uses for this versatile personalised crate are endless! 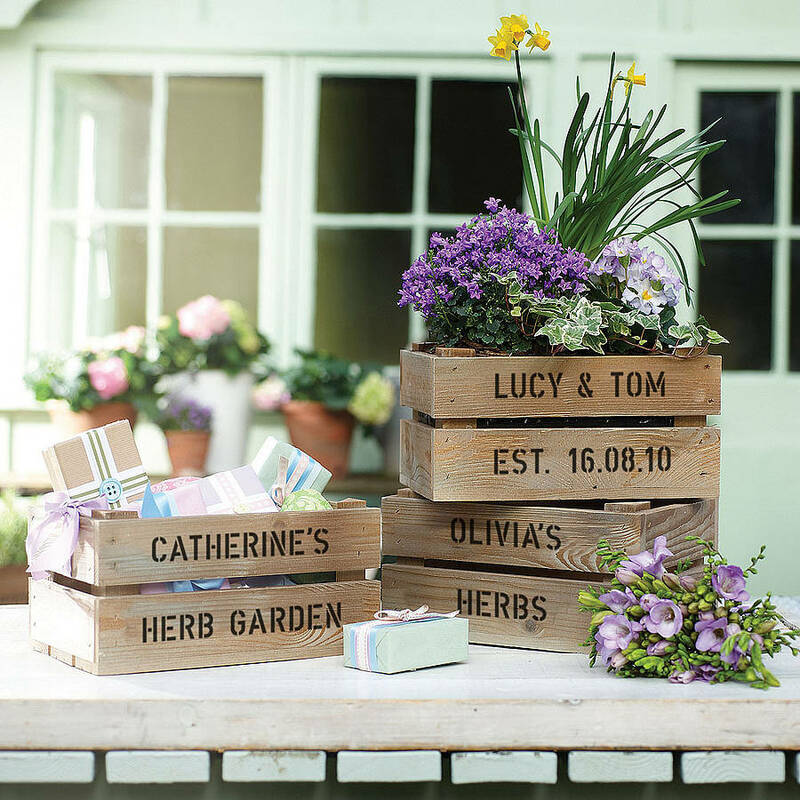 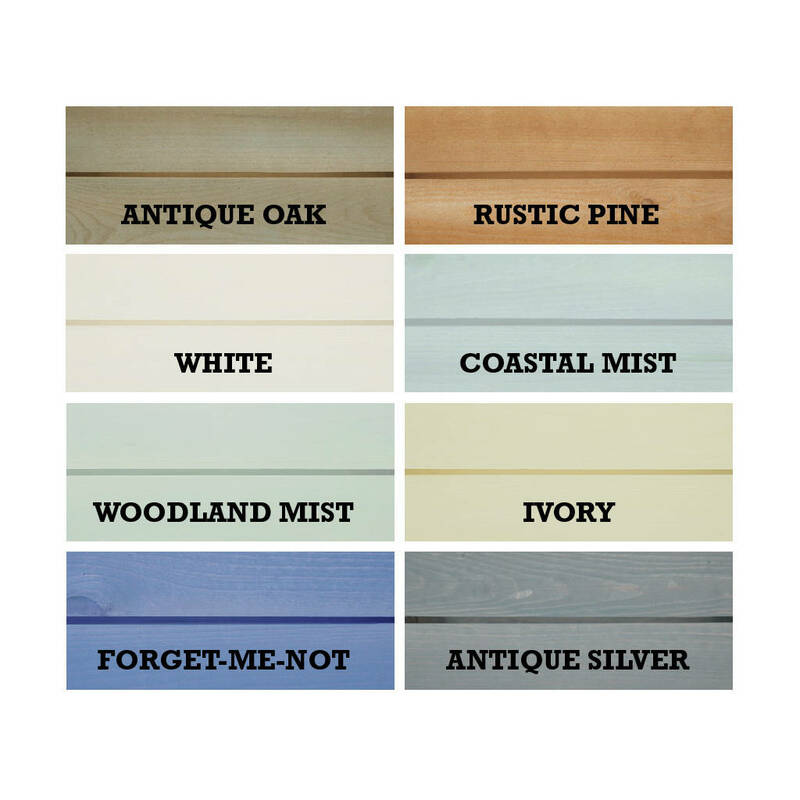 Choose from a range of 10 crate colours, and personalise with 2 lines of 18 characters. 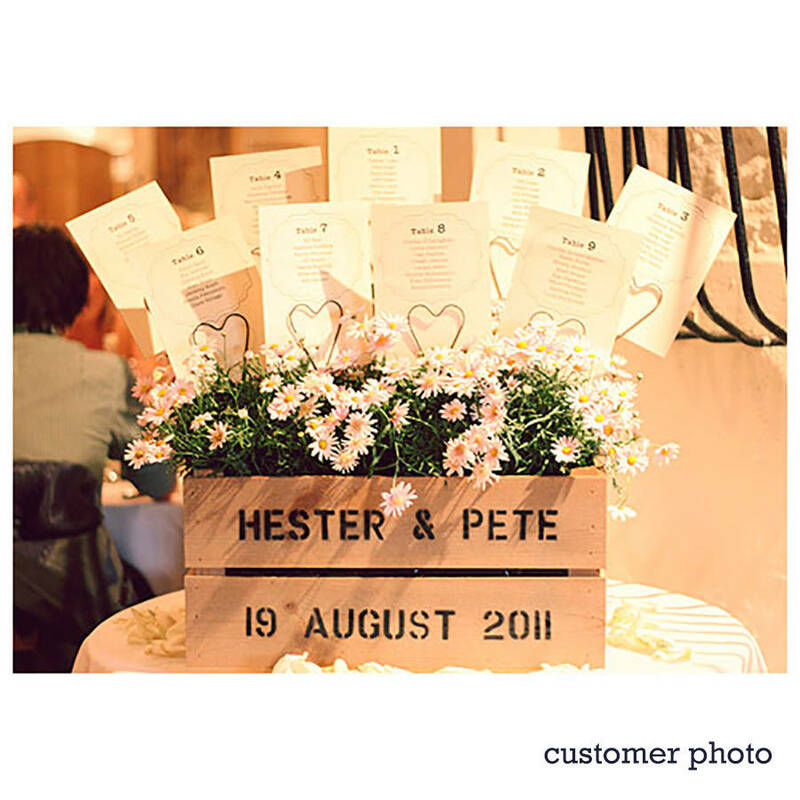 Please include the recipient's phone number for the driver, and a place where the box might be left safe if there is no-one available to sign for the parcel on it's delivery.